Is it time to forget the recalls, lawsuits and fines and take another look at General Motors? One influential Wall Street bank thinks so. Goldman Sachs (GS) listed GM (GM) among 15 stocks it says "offer better growth, value, and yield" than other comparable companies. It was the first time Goldman compiled the list, which was published in its weekly note to clients. The inclusion of GM is somewhat surprising considering the challenges currently facing the automaker. GM has recalled more than 20 million cars this year due to ignition switch problems that have been linked to a number of fatal accidents. 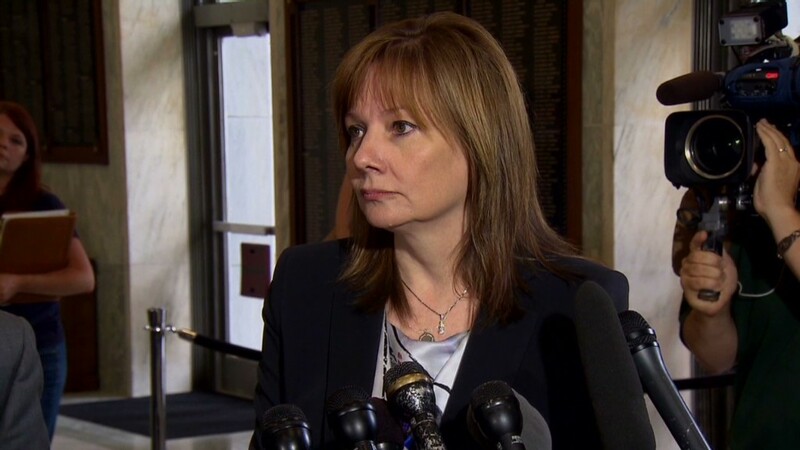 In May, GM paid a $35 million fine to settle a federal investigation into the handling of its recall. GM is also facing a slew of private lawsuits, including a class action in California that could cost the automaker $10 billion. 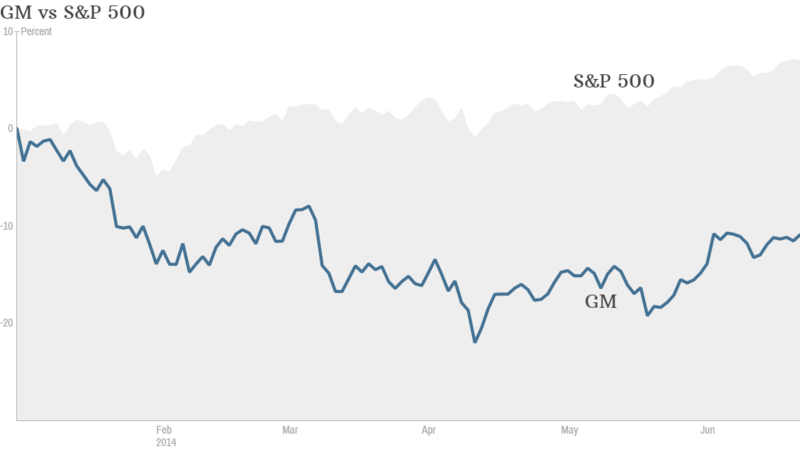 GM's stock price fell to a low of about $32 a share in April, down from nearly $41 in January. While it has regained some ground, the stock is still down over 10% year to date. But that's exactly what makes GM stock attractive -- it's on sale. According to Goldman, GM is in a group of stocks that trade at a 25% discount to the broader market. GM shares currently trade at about 9 times next year's expected earnings, compared with nearly 16 for the average company in the S&P 500. Despite all of its recall woes, GM still has relatively strong earnings potential. While earnings are expected to decline this year on recall-related costs, profits in 2015 are projected to be up 50% over 2014, according to FactSet. Lastly, Goldman notes that GM has an attractive dividend payout. GM's dividend yield currently stands at 3.3%. The dividend yield for the S&P 500 is amere 1.87%. In case you're wondering, the other companies on the Goldman Sachs list are as follows: Ford (F), Lowe's (LOW), Whirlpool (WHR), Gamestop (GME), Dow Chemical (DOW), Freeport McMoran (FCX), International Paper (IP), Nucor (NUE), Avery Dennison (AVY), Principal Financial Group (PFG), Aetna (AET), Stanley Black & Decker (SWH), Eaton Corp. (ETN), and Corning (GLW). Goldman's research group does not cover all of these stocks, but it has buy ratings on six of them, including GM.